What do you think of when you hear about an African American Republican? Are they heroes fighting against the expectation that all blacks must vote democratic? Are they Uncle Toms or sellouts, serving as traitors to their race? What is it really like to be a black person in the Republican Party? 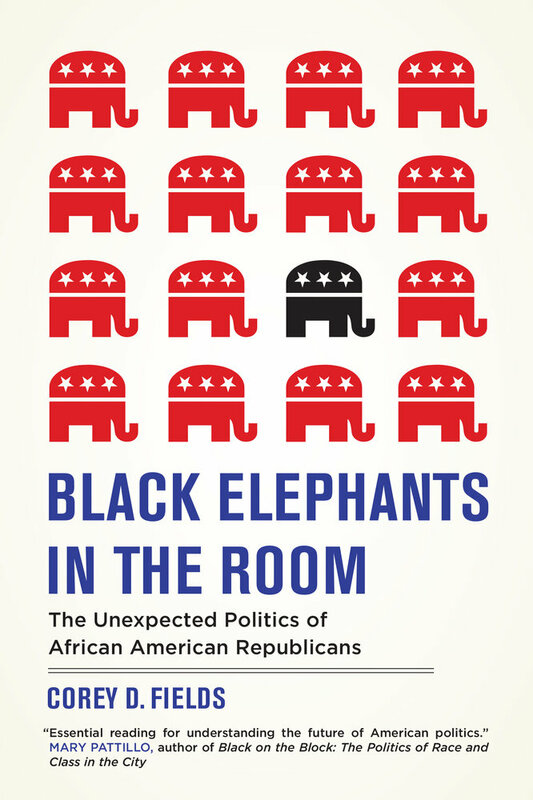 Black Elephants in the Room considers how race structures the political behavior of African American Republicans and discusses the dynamic relationship between race and political behavior in the purported “post-racial” context of US politics. 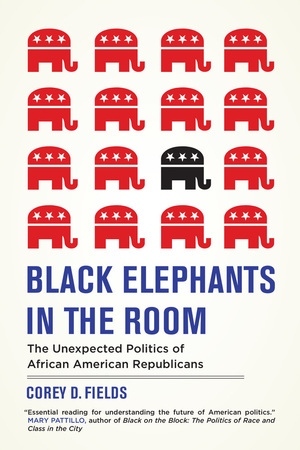 Drawing on vivid first-person accounts, the book sheds light on the different ways black identity structures African Americans' membership in the Republican Party. Moving past rhetoric and politics, we begin to see the everyday people working to reconcile their commitment to black identity with their belief in Republican principles. And at the end, we learn the importance of understanding both the meanings African Americans attach to racial identity and the political contexts in which those meanings are developed and expressed. Corey D. Fields is Assistant Professor in the Department of Sociology and Faculty Affiliate at the Center for Comparative Studies in Race and Ethnicity at Stanford University.